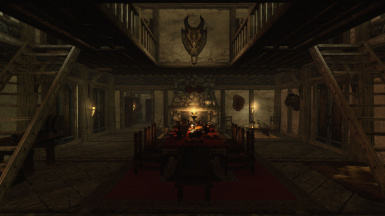 A re-imagining of Lakeview Manor from the Hearthfire DLC. Fixed adoption glitch in initial release. Sorry about that!! Welcome to Lakeview Manor Evolution. 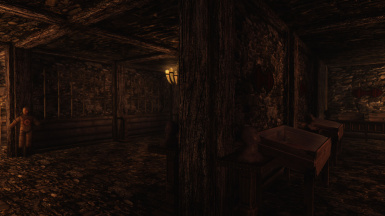 In this mod, far from being a "build your own" house, Lakeview Manor is old.... very old. Starting from humble beginnings it has slowly evolved through generations of scholars, craftsmen, warriors, sorcerers, inventors and explorers each contributing their expertise to make the house what it is today. It contains a mix of traditional styles and craftsmanship, along with some steam-powered technology "borrowed" from the Dwemers, which is now all but lost to the outside world. I consider the mod to now be out of beta stage and so this should be the first stable and playable release (fingers crossed). From this release on I am committed to ensuring that any future updates are just that....updates. That is, they will be compatible with this release and therefore won't require starting a new game again. Thanks to everyone who helped me to test it and sorry that it's taken so long to move out of the beta stage. Now, whilst I'm hopeful that it's stable and playable, it's still not 100% finished. 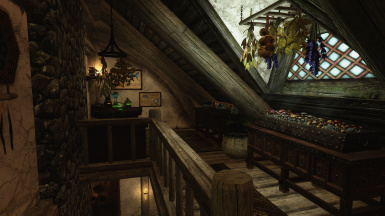 It could still do with some more clutter/decorating (dreaded clutter) in the main house and the interior of the cottage needs a lot of decorating. 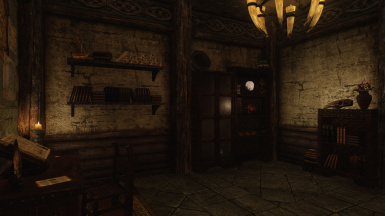 Having said that, there is significantly more clutter in this release (much of it custom made) then there was in the last beta release and the main house it starting to feel more lived in then it used to. However, there are still a few empty shelves here and there which need some work. SUPER IMPORTANT: When you install the mod for the first time you must start with either a new game or at the very least a clean save which hasn't had Hearthfire loaded in it!! I realise this will be a big turn off for some people but there is really no other option. This is due to the way Hearthfire was implemented. I spent ages trying to find a workaround to this but there is none. If you don't follow this instruction then I guarantee that something will not be right at Lakeview Manor. For example, some things may be floating above the ground, or you might have extra walls, or the terrain will not be quite right etc. Installing the mod is easy. You can either manually install the 2 files or use NMM or similar. 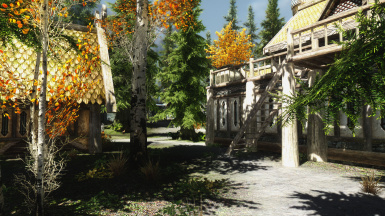 When you first install the mod, the house will be there, ready to visit. There is no quest to obtain the house because I never got around to making one. The only thing you need to do at the house to get started is to choose your preferred configuration for the east wing bedroom. You do this via the key holder next to the front door. You can choose form either a 2 child bed room, 6 child bedroom, or 4 adult bedroom. Make sure you configure the bedroom before trying to adopt any children or inviting followers to live at the house. A configurable bedroom wing. You can choose between 2 child beds, 6 child beds or 4 follower beds. You can adopt up to 6 children if you use Hearthfire Multiple Adoptions (and the 6 bed configuration). However if you only want to adopt 2 children than you don't need Hearthfire Multiple Adoption installed as the vanilla adoption scripts will still work in the manor. 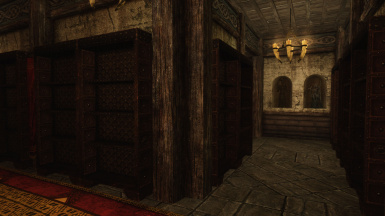 The steward, housecarl and bard all have their own beds. Custom furniture that allows for a lot of additional storage space without taking up additional floor space. 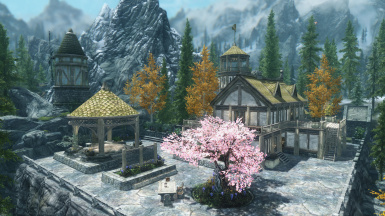 Much better lighting than the vanilla Lakeview Manor imho. This whole project started as an attempt to improve the vanilla lighting. 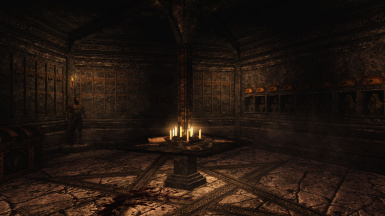 Ability for the player to individually extinguish and re-light all candles throughout the main house. Let me know if I've missed any of them. 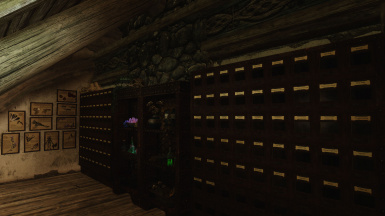 An attic containing the alchemy lab and fully functional individual ingredient storage drawers with auto-sorting. Note the video is a bit old now and the attic has changed a bit since then. A self-changing dining table. Each day the main dining table will show a randomly selected meal configuration including plates, cups, food etc. More configuration to be added in future. Q. How do I configure the bedroom wing? A. There is a key holder inside the manor to the left of the main door. Click on it to choose from the three bedroom configurations. I plan on adding other configuration options to the house one day but at the moment it's only the bedroom wing. Q. Do I need to build the house or does it come pre-built? A. 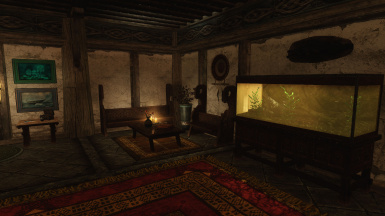 The house comes pre-built and pre-owned by the player. Ready to move in. Q. But....can I still build new wings and change things around? A. No, the "building" aspect from the original manor has been completely disabled in this mod. Q. 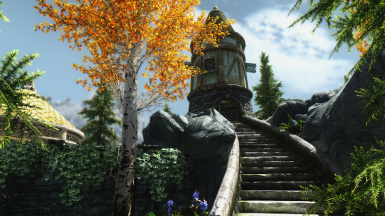 If I can't build the house, how does it impact on the quest line from the Jarl of Falkreath? A. 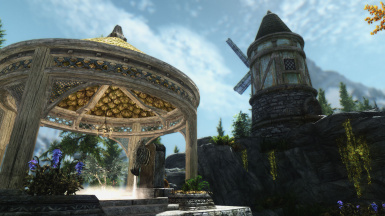 You can still do the favor quests to become Thane of Falkreath. Along the way he will still tell you that you can purchase land but you won't be able to actually purchase it as you will already own it. You can still continue the favor quests to get your personal Housecarl. Q. Will followers still offer to become my Steward? A. Yes. However, the only things you can purchase from your steward is the Carriage Driver (if you really want one), replacement animals (if they get killed) and the bard. Q. 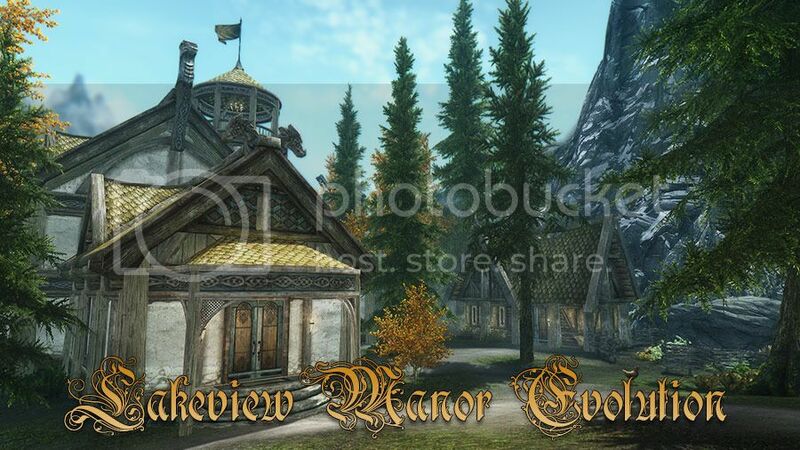 Does the house still allow for my kids and family to move in, like the original Lakeview Manor? A. Yes, your wife/husband and up to 6 kids (or 4 followers) can move into the house. Q. If I can't build the house, does it affect me getting the Land Barron Achievement? A. 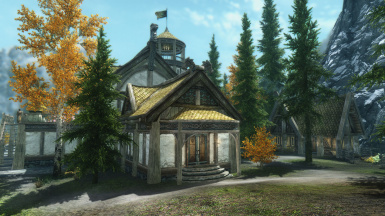 Installing this mod will automatically give the the Land Owners Achievement if you don't already have it and therefore it still counts towards getting the Land Barron Achievement, if you build the other two Hearthfire homes. Q. What is behind the strange door in the yard? A. At the moment that is a mystery even for me. It was intended for a future expansion which hasn't happened yet. 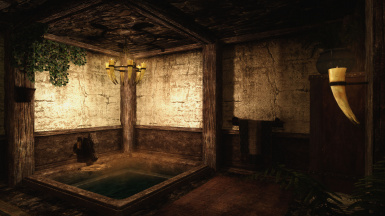 There are a couple of other hidden places in the mod which are intended for future expansion. Hearthfire Multiple Adoptions by TMPhoenix. You'll need this if you want to adopt more than 2 children. If you just want to adopt 1 or 2 children than you won't need this. 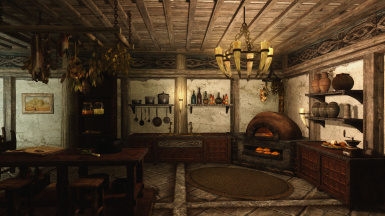 Make sure that the Lakeview.esp is loaded after Hearthfire Multiple adoptions in your load order, otherwise the interior lighting gets messed up. My Home Is Your Home by Volek. If you want your followers to move in. Hearthfire Attacks Disabled by Raygereio. 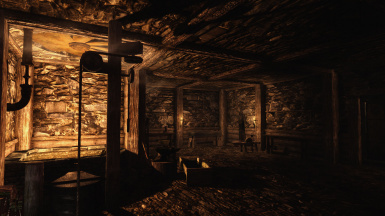 Great mod if you don't want to be constantly fending off bandits, giants, wolves and skeevers from your Hearthfire homes. Still get the occasional dragon attack though. Fixed adoption glitch with 6 child bed configuration. Sorry about that..again!! Fixed faulty weapon plaques in armory. Fixed gray faces on the caretaker and his wife. Fixed issue where the caretaker and his wife would get grumpy if you were in their house at night. Improved ambient lighting to make it brighter and warmer.